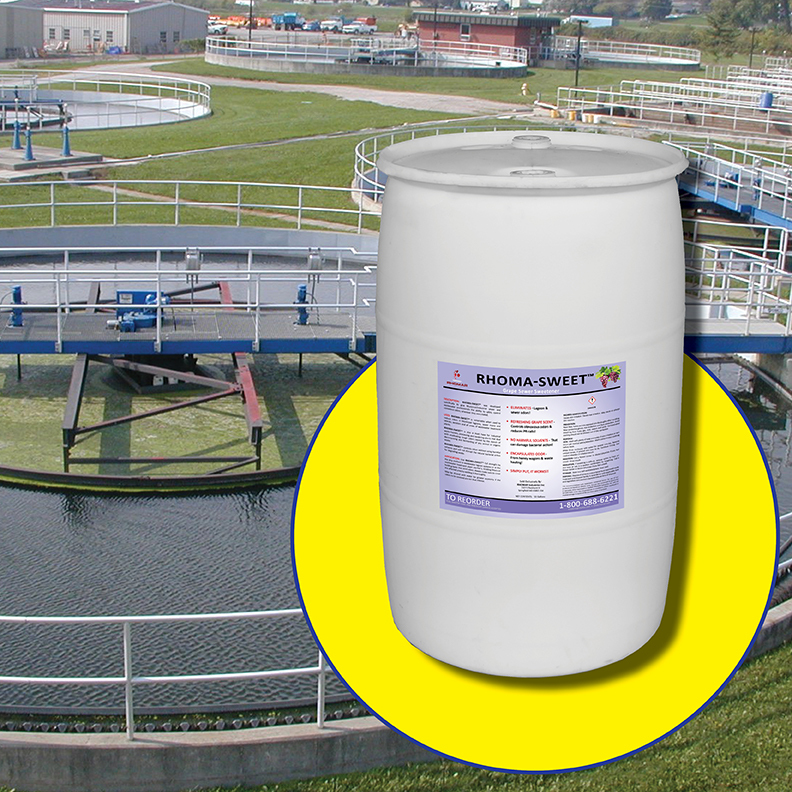 RHOMA-SWEET controls nasty odors from the flush to the WWTP without using harmful solvents or disrupting the natural bacterial action for degrading waste. It has a pleasant grape fragrance! Do you have questions about RHOMA-SWEET? Call 1-800-688-6221 between 7:30am and 4:30pm CST to speak to customer service. 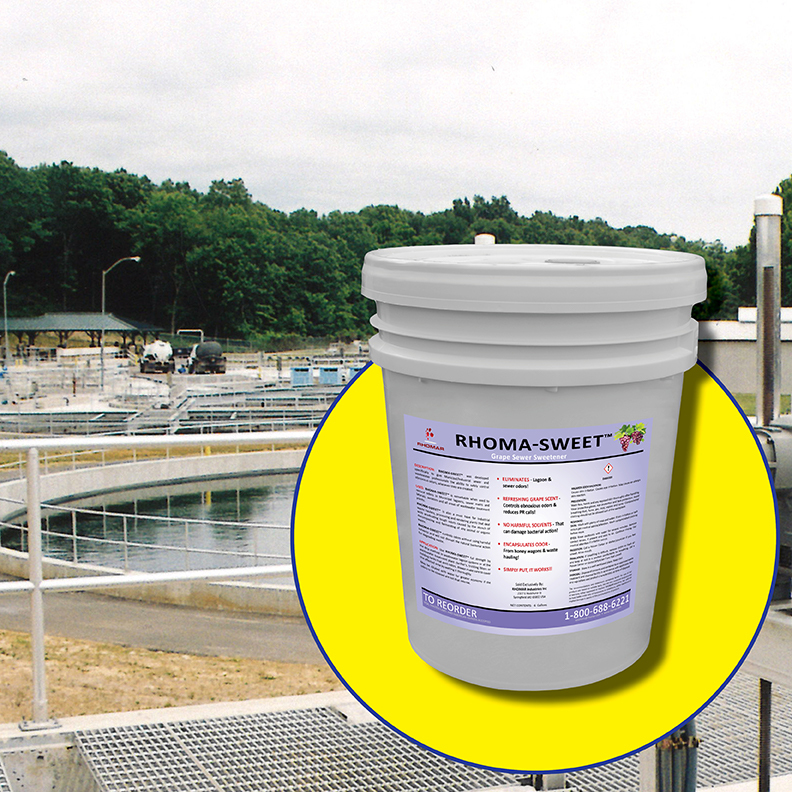 RHOMA-SWEET was developed specifically for municipal and industrial sewer and wastewater departments to safely control obnoxious odors found at municipal lagoons, sewer mains and lateral lines, aerators, and pretty much anywhere around the wastewater treatment plant. Simply apply RHOMA-SWEET and what you get is a refreshing grape scent instead of nasty odors. 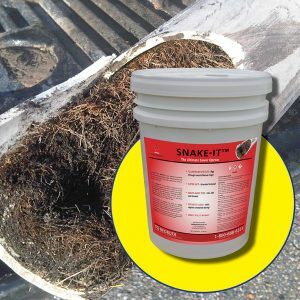 Eradicates foul waste odors anywhere in your sewer system. 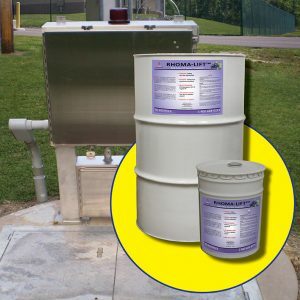 Great odor solution for lagoons, sewer mains, clarifiers, wet wells and holding tanks. Refreshing grape scent controls controls obnoxious odors and reduces negative PR Calls. Safe, contains no hazardous solvents that can damage bacterial action. Dilution Rate: For intense odors do not dilute, use at full strength. When odors are not that intense, RHOMA-SWEET may be diluted with water for greater economy. Always make sure to cover the affected area by wetting it throughly. RHOMA-SWEET can be poured, dripped, injected or sprayed onto the affected area. 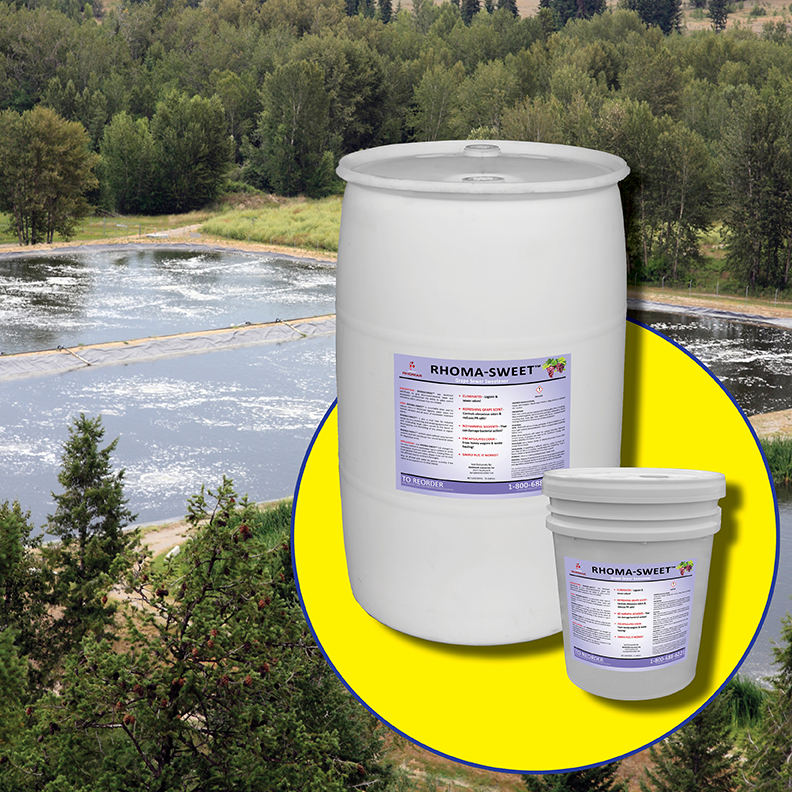 We recommend using RHOMA-SWEET at full strength by the drip method in wastewater lagoon systems or at the wastewater treatment plant clarifiers, tricking filters or holding tanks that emit odors.